Pagliacci is always laughing. Laugh, clown, laugh. I could never fight el toro, but the flowers do make me sing. I am a dramatic tenor with a love of magic. I sing classic Broadway tunes, International music, operatic tunes; and I can perform magic with the singing. I sound like Andrea Bocelli or Josh Groban, and can perform as soloist or with other musicians. I can upscale the show for big illusions requiring assistants, stage and curtains or downscale for slight-of-hand magic. I have an operatic voice, having graduated from Manhattan School of Music and trained with Luciano Pavarotti's vocal coach. I do concerts, events, conventions, Cantorial services, church services, weddings, memorial services, and also do vocal coaching. I am prompt. My videos are on Youtube (under Spinella Tenor) or my website. Many of my shows are solo, which means I perform my selection of songs for 30 minutes to an hour with music tracks that I provide. I usually bring along a sound person who helps set up the speakers and plays the music tracks in sequence. The music can be chosen from a list of music which I can provide, usually Italian, classical, pop (Josh Groban or Andrea Bocelli style) and Broadway music. Most people start to sing along as these are the most popular arrangements. I have done many things from singing the Star Spangled Banner at opening events to singing with the Israeli Philharmonic under the baton of Zubin Mehta. If you would like, I can add an assistant and do a small magic show or slight of hand, along with the singing. This is a little more elaborate and requires that the venue have a stage setup with curtains and no visibility behind stage. This entails an extra bit of setup and preparation, but it is sure to be unexpected and entertaining. The most elaborate engagement would be a full theatrical production with cast and crew. This would be the large illusions plus the operatic singing. It is a story of a man who finds his true love, loses her, and finds her again. This requires a medium to large theater stage along with dressing rooms, rehearsals, sets and lighting design. I am also a Cantorial singer and can arrange to perform services for various holidays. I have two tribute shows, one for Mario Lanza and the other for Luciano Pavarotti. 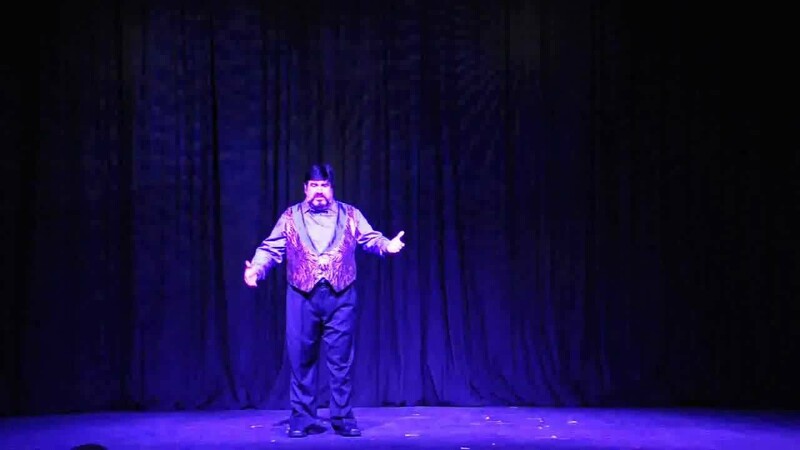 You can see quick excerpts of my music, music & magic restaurant shows, and illusionAria on youtube by search for Spinella Tenor. Joe Spinella, tenor, songwriter, conductor, is a graduate of the Manhattan School of Music in New York City, with a major in voice. His tenor voice quality was described by Princeton’s weekly newspaper, Town Topics, as 'a solid Metropolitan Opera level performer.' Joe was discovered by one of the Metropolitan Opera conductors and was invited to work with Metropolitan Opera coaches in NYC. This began his regular sessions with Joan Dorneman, Luciano Pavarotti’s vocal coach of thirty years and Mignon Dunn, retired MET Opera Star, now vocal instructor. As a result of being a finalist in the Mario Lanza Vocal Competition, Joe has been invited to perform for the San Gennaro Italian Festival in Little Italy, NYC on September 18th, 2014. Joe Spinella was considered for a Grammy Award in three categories; Best New Artist, Song of the Year and Producer of the Year for 2013. Joe’s newest endeavor, Tenor of Illusions’ IllusionAria, is a fusion of great Italian, Spanish and English music, with 'David Copperfield' style magic. His show has been written about in U.S.A. Today, the Southwest Italian Magazine, U.S. News and World Report, and the GIA Mondo newspaper which is distributed in the U.S., London, Switzerland and Italy. A CD of music from the show is on sale now on i-Tunes and Amazon. Joe was the headliner act this past November’s Lakewood Ranch 'Festa Italiana,' the Italian festival held in Lakewood Ranch, FL. Most recently, he has performed at Pia's Place and at the Italian American Club in Las Vegas. Joe has made numerous appearances, including most notably with 'The Three World Tenors,' the Israeli Philharmonic under the baton of Zubin Mehta, and the Sarasota Opera. Other guest appearances include the Lake Placid Sinfonietta, the Princeton Symphony Orchestra, the Sarasota Orchestra, and multiple appearances with the Charlotte Symphony Orchestra. 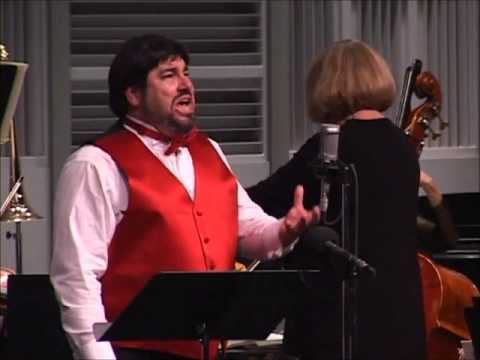 He has also appeared as a guest soloist multiple times with the Anna Maria Island Orchestra, the Sarasota Pops, and the Sarasota Concert Band. He was at the Olympic Torch ceremony and created a CD, 'Sparks of Fire,' to commemorate the 2000 Olympics. Joe has performed in the international show, 'The Three Waiters' which won 2006 Best Entertainment of the Year award. In addition to singing and magic, Joe has been guest director/conductor of the Sarasota Orchestra since 2009, which performs for all types of venues throughout Florida. Joe Spinella’s talents and experience also include choral conducting, and theater. My illusionAria show has a prepared script and pre-arranged music and theme. I always loved watching Luciano Pavarotti as a kid. Once at one his performances, I slipped backstage to meet him. I told him I wanted to study opera and become an opera singer like him. We spoke in Italian, but I spoke in my Sicilian dialect. And he gave me this advice, "Always speak the good Italian." And to this day, I try to honor his advice. Recent review: They totally added a special touch to our Holiday party!